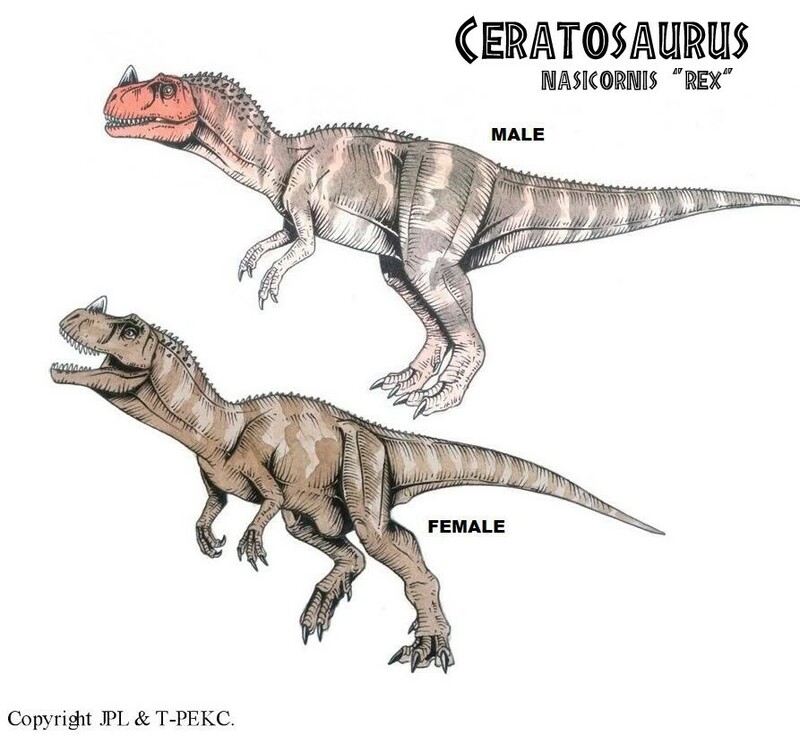 Ceratosaurus was a carnivore. 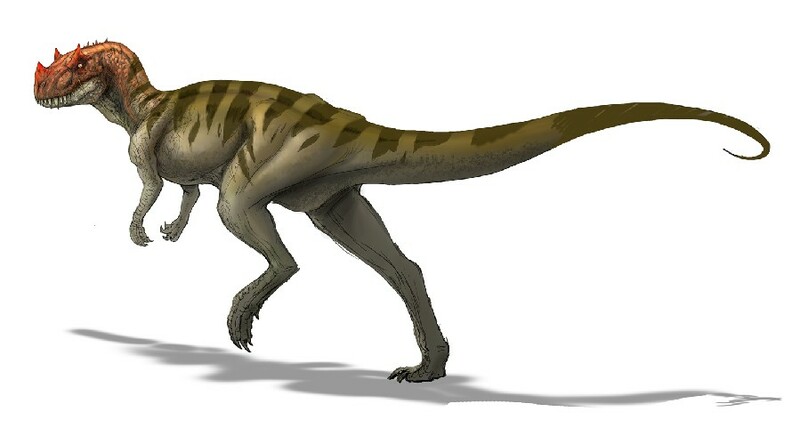 It lived in the Jurassic period and inhabited Africa, Europe and North America. 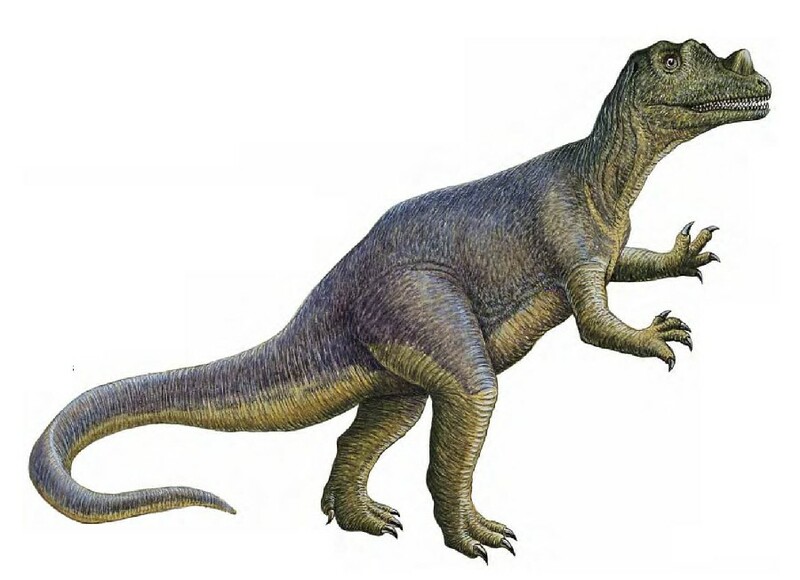 Its fossils have been found in places such as Utah, Texas and Centro (Portugal). 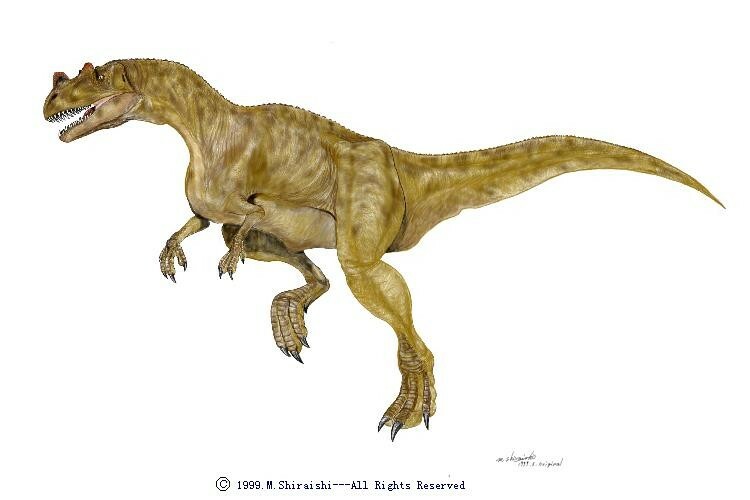 In 1884, the legendary fossil hunter Othniel Charles Marsh separated a big meat-eating theropod from a sandstone bed in Colorado. He gave it a name meaning “horned lizard” because it had a prominent horn on its nose. 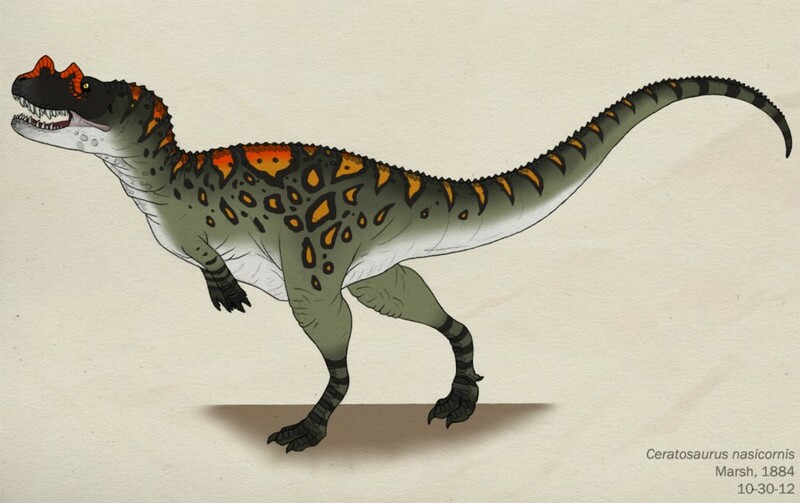 This dinosaur had a wide range during the Cretaceous, for remains have been uncovered in Tanzania and Portugal. These fossils were deposited before Pangaea had split up completely. 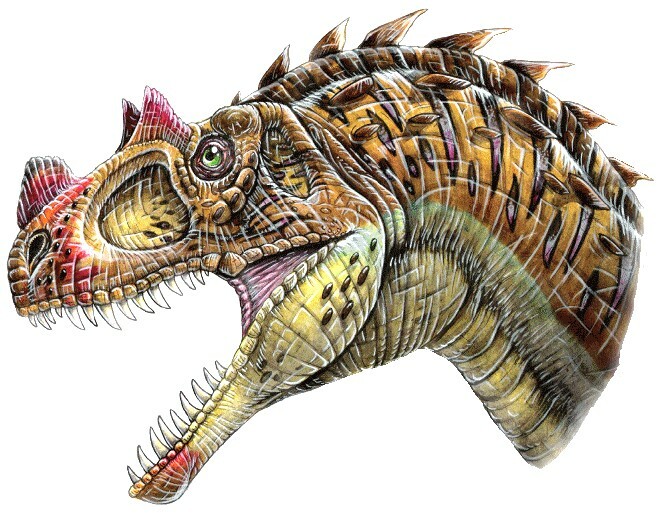 The nose horn caught the public's attention when the first Ceratosaurus was prepared and mounted, to show the extinct animal's full 30-feet length and estimated one-ton bodyweight. 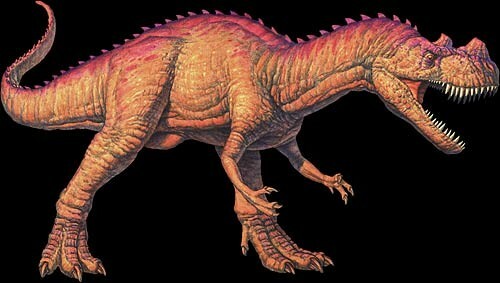 But this dinosaur had another unusual feature. The midline of the body was studded with bone platelets called osteoderms, which protected the softer tissue underneath. 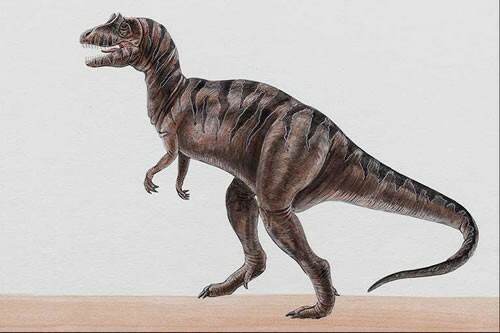 These scales may have been the evolutionary beginning of the full body armour seen in some Cretaceous species. 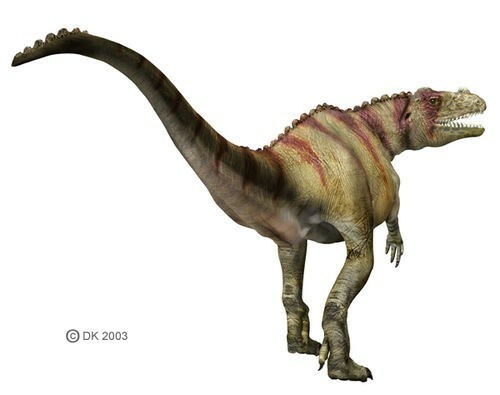 The horned dinosaur had the typical tiny forelimbs of most theropod predators, but they were different, in that they had four fingers, unlike the usual three. 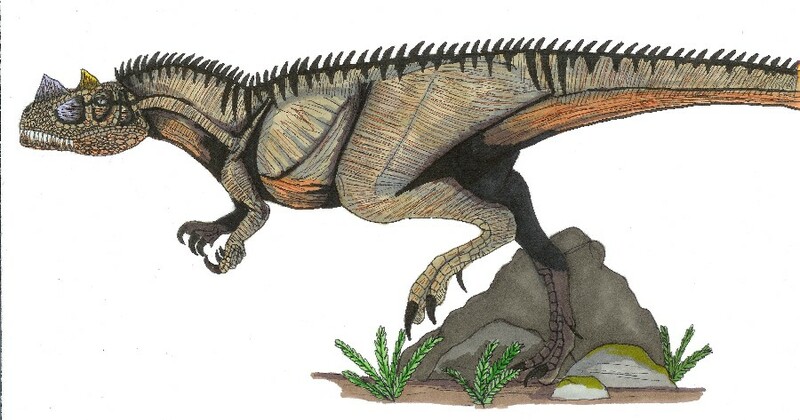 It was related to its bigger contemporary cousin the Allosaur, and may have given rise to later South American (Carnotaurus) and Madagascan (Majungasurus) species. 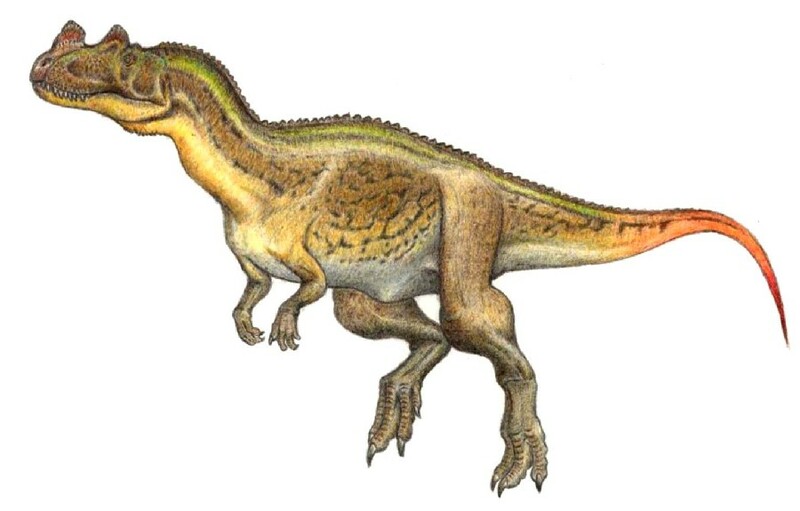 The ecological niche it exploited remains speculative, but it's tempting to imagine a Ceratosaurus enjoying a lunch of raw dinosaur meat.